South Coast Quartet LIVE in Concert! The SCQ will feature new music, and a fabulous new band! Also, Campus Jax has a full menu - food and bar is available to purchase for an enhanced evening experience for you and your friends. 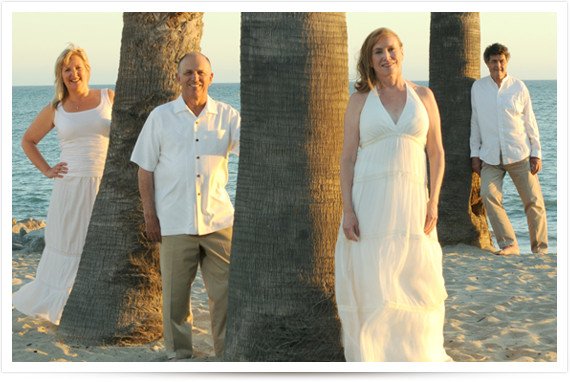 For almost a decade, the South Coast Quartet has entertained Southern California audiences with their unique Manhattan Transfer-style vocal blends. "Music is one way we can reconnect with those special moments of our lives, both happy and poignant," says Ginger Silverman, SCQ soprano. With a repertoire of songs that spans the 30's, 40's, 50's and all the way to the today's contemporary standards, the group's smooth, tight harmonies will fill your heart with joy and get your toes tapping. The South Coast Quartet is available for all entertainment needs from concerts with a live band to smaller, intimate events such as birthday parties, holiday celebrations. Contact us today to schedule us for your next special occasion. The South Coast Quartet repertoire is a magical combination of Manhattan Transfer Modernaires' vocal sounds. The South Coast Quartet is sure to get you dancing in the aisles! Jazz standards. Broadway show tunes. American classics. Gospel and blues. Holiday favorites. The South Coast Quartet sings it all-and with lush harmonies and a smooth style all their own. In the tradition of Manhattan Transfer and The Modernaires, this fabulous foursome performs an eclectic, upbeat selection of familiar songs that have served as the soundtrack of our lives. "Beautiful voices, beautiful harmony and outstanding solo by Ginger. Our group of 150 guests truly enjoyed the choral performance. We would definitely use this group again!" South Coast Quartet was selected as part of our best choirs in Orange County for their excellence in singing and skills.